- Installed Python for Scientific Computing properly with respect to its OS architecture and not renamed it. 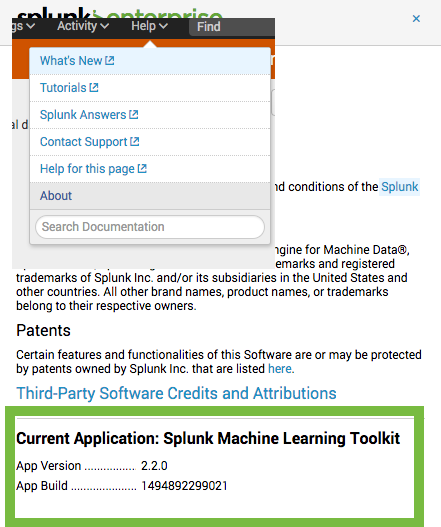 - Splunk runs with the same user who installed the app. Can you confirm which version of MLTK and PSC you are using? As well as Splunk Version? The custom algorithm documentation you link only applies to version 2.2. Holy?! Why didn't I check the version requirement! Will execute this later and provide an update. Thank you! CorrelationMatrix is now working. I cannot mark your answer as an answer since you made it a comment. I converted it to an answer - glad to hear that it fixed your issue. Add-on Builder: How can I debug or log something within the editor while developing a Python script? What type of correlations can I calculate in the CorrelationMatrix custom algorithm example?